The possibility of living a long and healthy life in the 21st century is a reality. By the calculations of some experts, the average life span in the near future will be an impressive 120. Of course, a healthy diet is really important when it comes to longevity, especially one that is rich in antioxidants. Below, we’ll serve up four anti-aging foods that you should definitely be paying attention to if living a long, healthy life is your goal. Cells have a way of "telling time" through telomeres, which are protective fragments of DNA which cap the ends of chromosomes. Research shows longer telomeres are correlated with a longer life span. In one study, scientists found an association between longer telomere length and higher blood omega-3 levels.1 Cold-water fish are a rich source of omega-3s. Resveratrol turns on a set of longevity genes (sirtuins) that are normally activated during periods of famine and stress. A cup of red grapes provides about 1 mg of resveratrol per serving, and a liter of red wine may contain only 13 mg.3 Higher doses can be found in resveratrol supplements. Don’t discount açaí berry as a food trend - they contain one of the highest ORAC scores (a measurement of antioxidant activity) known. Note that it’s difficult to find fresh açaí berries at supermarkets. Luckily, the freeze-dried varieties retain most of their antioxidants and can be found easily. Did we miss one of your favorite anti-aging foods? Tell us which food and why in the comments! Biochim Biophys Acta. 2010 Oct-Dec;1799(10-12):740-9. Available at: http://lpi.oregonstate.edu/infocenter/phytochemicals/resveratrol/. Accessed February 6, 2015. Exp Gerontol. 2010 Mar;45(3):243-51. Epub 2010 Jan 18. My favorite anti aging foods are leafy greens like spinach. They have been known to be antioxidants and also decrease the risk of cancer. Salmon is also very good for your skin; I can only recommend wild salmon though not farm raised. Jackie - Thanks for your input! How about including some Vitamin C foods like orange, kale, etc. It is one of the most essential nutrient for good health. Besides it has anti aging, anti wrinkle (skin) qualities. Nice list. I agree that foods with high Vitamin C should be on that list. My cousin grew up on oranges and she looks 15-20 years younger than everyone else. Don't know how much of that was the oranges, but I bet it contributed at least a little bit. Bill Waters - Interesting! Vitamin C is very beneficial to our health. Thanks for stopping by our blog! Cathy - Right on! Thanks for stopping by our blog! Its nice, can you write an article regarding vitamin C Serum? One of my friend told me its work great as a anti aging. Is that true? Annona - Topical vitamin C has been shown to be very beneficial for our skin health. This article discusses topical vitamin C in detail: http://ow.ly/Ls8h305ja9m. The other popular skin care subject is acne. Maybe these foods are good for preventing acne? There also acne soaps for this problem. Mary B. - We appreciate your feedback. This may be beneficial: http://ow.ly/Wwhu307Pkut. I really love berries because it has Vitamin C and rich in anti oxidants which fights Anti-aging. My favorite kind of berry is strawberry and blueberry it is juicy and sweet. I also like to eat it in snack or breakfast. Abigail Crawford - Excellent! Berries are nutritious & delicious! Spinach is good for anti-aging,too. It's rich in lutein, which has been shown to have anti-aging properties. Eating spinach will also keep your skin healthy and hydrated. And hydrated skin looks younger. Brian - Spinach does contain numerous nutrients that are great for our health! Great Post! It is really useful Anti-Aging food list. Vitamin C is very beneficial to our health. I agree that foods with high Vitamin C should be on that list. Thanks for Sharing. Genesis Renew Reviews - You're welcome! We're glad you enjoyed the post! Julia Kruz - ;) There are numerous foods with anti-aging properties. I think turmeric,pomegranate, tomatoes, melon, carrot, batata,cucumber are good too. Oh, that's an interesting list, thanks! I know that these foods are very good for the body, for keeping it healthy and young but also it's not enough for really massive effect. 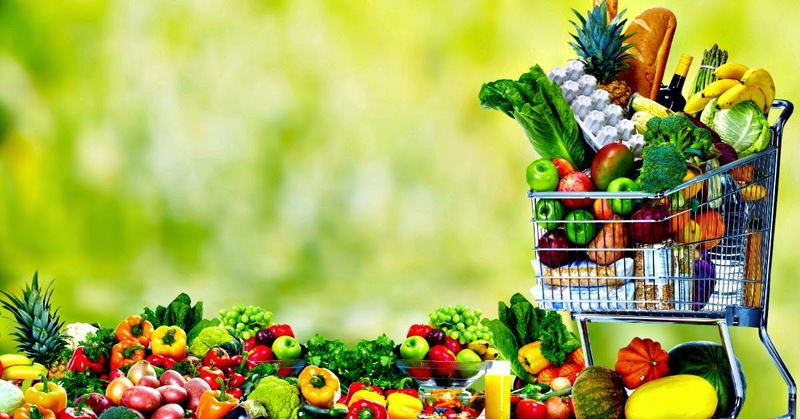 I've read rather many books about healthy products and diets and as I understood the best way in this case is to become a vegetarian, only such diet provides the best effect for our body. And of course regular physical activity is very important too, I saw some people who used both these methods and they look really amazing even in their 50s and 60s! That's really an example which inspires me greatly too! Jack - Thanks! We're glad you enjoyed the post! Metanoia - Thank you for your feedback. While there are benefits to a vegetarian diet, vegetarians can get nutrient deficiencies. Here's more info: http://blog.lifeextension.com/2014/02/are-vegetarian-diets-healthy.html. It's true that fish is very useful cause it contains omega-3. It is advisable to eat fish every other day, or replace it with omega-3 tablets. Thx for sharing blog! Workoutgearlab - You're very welcome! Great list, but I think you are missing perhaps one of the most amazing anti aging foods...tea! OK so it isn't actually a food, but I really think that tea has some really great properties including anti oxidant ones. Harry - absolutely! We agree. I think Anti-Aging Foods is very important for people, because health is number one. HoangVu - Glad to hear that you agree! I am a vegetarian so I am going to try only those ones. But I like the concept of relating anti-aging with the description of different types of eatables. My favorite anti aging foods are leafy greens like spinach and I think turmeric,pomegranate, tomatoes, melon, carrot, cucumber are good too. Thanks for sharing such an informational article dear with all of us. Looking forward to more article like this. Best wishes and Regards. Great article! Thank you so much for sharing this. Great Post though! It is really useful Anti-Aging food list. Vitamin C is very beneficial to our health. I agree that foods with high Vitamin C should be on that list. Great Tips. This is so true. It's like the saying goes "We are what we eat" . We all would be so much happier and healthier if we followed this lifestyle of eating! Hi, if you're reading this, please remember you're beautiful �� and I hope you are having a beautiful day! Metanoia - Thank you for your feedback. While there are benefits to a vegetarian diet, vegetarians can get nutrient deficiencies.